Everyone well deserves a break from the routine hustle and feel the need to break the shackles of monotony that leads into some holiday planning. This shift certainly takes our mind in the direction towards places that gives our soul peace and happiness, where Goa certainly ticks in the bucket list. Goa is a blessed city that is surrounded with heart-warming sights, serene nature which is blissful to the eyes, soothing beaches, youthful people and what not. However, what if you read about the term adventure sport like Ice Sliding? 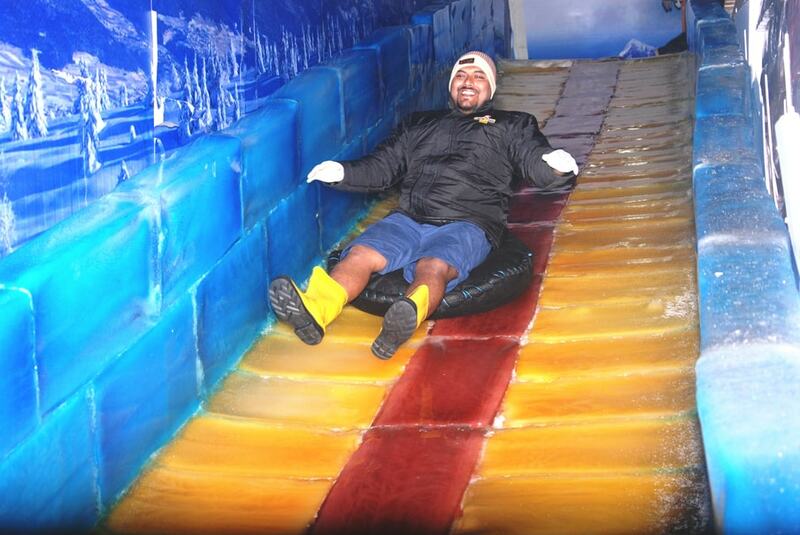 Ice Sliding is the one of the best attractions in Goa. Won’t it be music to your ears when you hear something really adventure some and out of the box fun like this! It is as good as giving one the real feeling of Antarctica right itself in Goa where one can have their way by shovelling the snow stacks at the beach. Who would have thought that Goa could be sighted way beyond just beaches, cool breeze, coconut trees, sea rock and shells, etc but now it is the time to shift our imagination to the next level and experiencing a realistic aura of Snowfall countries in Goa which is a perfect blend of India and abroad. What makes it stand out is its unique and first time presence in India, which is undoubtedly a remarkable step in creating a revolutionary adventure never thought before. So next time whenever one makes a visit to Goa, should certainly dive into this fun activity which is so exclusive and realistic in nature. People who always admired of grasping the glimpse of snowfall tunnel where one can slip and slide through in a funny way and holding back these golden memories shouldn’t be a spoilsport and should try this out. When considering a fun activity like this which is many steps ahead of mere slides that children play on, it is like becoming an eskimo who finds a pile of snow stacked together and shovels to make a way in a tunnel to slide on chilly ice to reach his destination. People find this as the most amusing sports activities in Goa. The ice tunnel will send you chill down your spine leaving your nose red and cheeks pink while sliding through in this ice maze with an everlasting experience of a much enjoyed holiday break for sure. The fun activities don’t limit themselves just to this rather unfolds many other thrilling affairs that one can truly enjoy, which includes creating snow castles and snowman, once one would have accomplished making castles at the beach in the daytime. It is worth noting that a set of team had extensively researched in creating such a marvellous thought and brought this picture into reality after a proper training, and who says that only kids can have all the fun! This adventure filled activity has been designed right from kids to everyone who is an adult but a child at heart to be audacious enough to kick into this ice fort for enjoyment. So, before ending your journey from Goa after shopping till you dropped, boozing, partying and packing your bags, do catch up some precious memories of this beautiful experience which is one of its kind in the very own Goa-“Pearl of the Orient” city.